A tune-up is essential to vehicle maintenance. It helps prevent problems, while identifying and replacing worn parts. Maintaining a regular tune-up schedule will help your vehicle last longer, get better gas mileage, and improve overall performance. 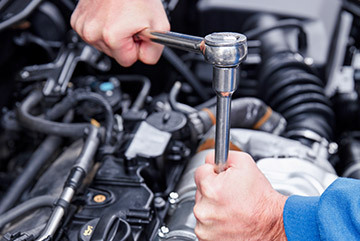 Most vehicles require tune-ups around every 30,000 miles. Check your vehicle's owner's manual to see if this is correct for your vehicle.